Christopher Provatidis has a BS in Mechanical-Electrical Engineering from the National Technical University of Athens (NTUA), 1977, a MSE in Mechanical Engineering from the NTUA, 1979 and a PhD from the NTUA, 1987. He started his career with the private praxis, 1981-1982 as a design engineer and patent consultant. In 1982, he moved to the National Technical University of Athens (NTUA) to work at the ?Machine Elements & Dynamics Laboratory'. Over the past 30 years, he has work across a wide discipline to include components of several sectors in mechanical simulation (statics, crack and fatigue analysis, elastodynamics, acoustics, structural optimization, light-weight structures, textile micromechanics, thermal analysis, biomechanics: orthodontics, dental implants, orthopedics, inverse problems, system identification, gearless differentials, dynamics, CAD/CAE integration, etc) in conjunction with the finite element method, the boundary element method and other computational methods. Provatidis has contributed in an innovative differential mechanism (US Patent 4,509,388) and has applied for two patents in an antigravity mechanism. 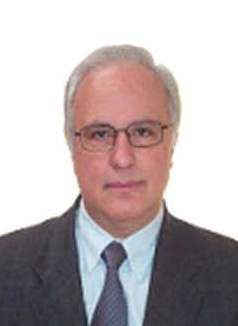 In 1989, he was appointed as a lecturer at the NTUA, in 1993 as an assistant professor, in 2002 as an associate professor, and in 2009 as a full professor. Between the years 2005-2007, he served as a Vice-chairman of the School of Mechanical Engineering at NTUA, Greece. Since 2000, he is an ASME member, and since 2010 an AIAA member. Since 2008 he serves of its Secretary General. Between the years 2007-2009 he served as a Vice-president of the Greek Association of Biomechanics. Since 1985, he has participated in more than thirty European and national funded research programs. Since 1983, he has supervised over a hundred (100) MSc theses and since 1997, eight (8) PhD theses already defended. Since 1987, he has written 62 published papers and co-authored 203 others (totally 310, May 2012).